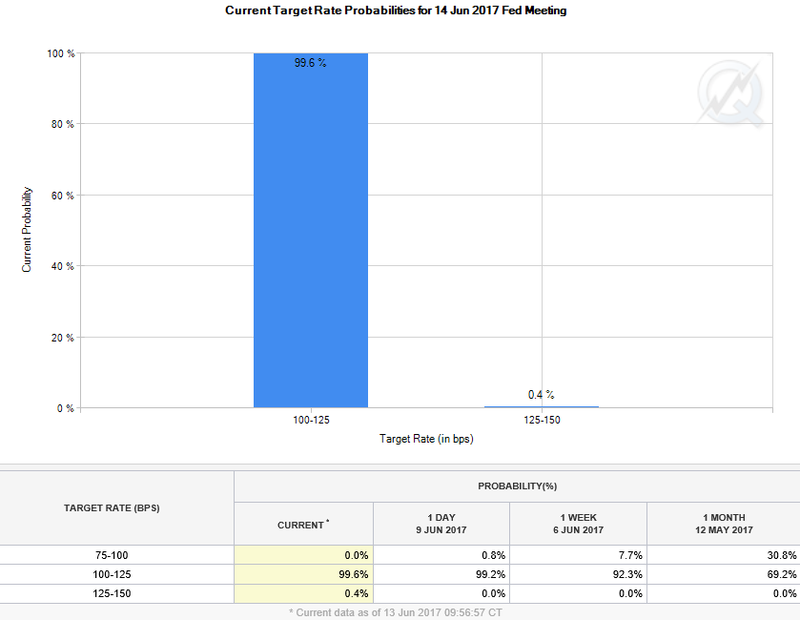 Officials at the Federal Reserve are widely expected to raise the target range for the federal funds rate by a quarter of a percentage point at this week’s monetary policy meeting. That would be the second hike this year but only the fourth increase since 2006. Although it has recently become a bit more uncertain what the Fed will do at subsequent meetings, it remains quite clear that officials have moved away from the zero interest rate policy (ZIRP) they enacted in response to the financial crisis and “Great Recession.” Put simply, the “easy money” policies of the past decade are ending and investors must prepare for a rising interest rates environment. Although officials will likely try to make sure that this shift in monetary policy is gradual, any period when rates are trending higher is still generally considered less favorable for stock market performance. That is not necessarily bad news, though, because investors will potentially be able to benefit from any negative effects that rising rates may have on equity valuations by acquiring shares of high quality companies they already had their eye on at more favorable prices, e.g. after a market correction. Such a scenario would be ideal for younger investors who have many years left before retirement for them to ride out any additional volatility and capitalize on the long-term resiliency of the stock market. As for older individuals with typically less exposure to equities, they can still benefit from a rising rates environment in a handful of other ways. For example, the interest earned on money kept in basic savings accounts will increase, although these improvements will not occur overnight. That is evidenced by the fact that 5-year certificate of deposit (CD) rates have barely budged despite a marked uptick in 5-year Treasury yields. However, the broader rise in interest rates will eventually happen, which means that the yields available on a wide array of fixed income products will also start to become a lot more attractive. That is important because an S&P Capital IQ study argued that it has become increasingly difficult for retired Americans to be able to afford to live on investment-grade fixed income returns. In fact, the researchers calculated that current retirees need to have around four times more in savings than they did 40 years go if they want to be able to generate a comparable level of low-risk, inflation-adjusted retirement income. Altogether, investors must realize that the next few decades could see a significant rise in interest rates, and it remains unknown exactly what kind of effects this will have on financial markets and the overall economy. Navigating such an environment could be very complicated, as Americans will need to consider a handful of issues such as bond laddering, mortgage refinancing, higher borrowing costs, and inflation/currency risk. Retail investors are therefore likely to benefit greatly from regularly consulting with a professional advisor who can make sure that their investment portfolios are properly aligned with their long-term financial goals, risk appetite, nearness to retirement, and other client-specific variables that need to be accounted for.